I’m sure they have had outstanding tournament days on varied bodies of waters. But I think nothing beats the familiarity of the waters you grew up fishing on. If you’re a long time and dedicated fisherman of your home waters you know the life cycles, seasons, habits and movements of many, if not all the specie you chase there. Of course being in the exact same spot you were the year before when you killed them, will not guarantee that same success this year. Too many variables having to do with the weather, water temps and the whole ecosystems time table can change in a year’s time. 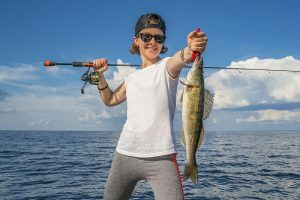 Usually though, when knowing your home waters, things will not vary so much from year to year, that at least you’ll have a pretty good game plan formulated, given what particular time of year your fishing. With that said, I’d like to talk about my home waters of Saginaw Bay. Of course our walleye comeback began a little after Lake Erie’s. But I’ve been chasing everything from perch to catfish for 40+ years on the Bay. 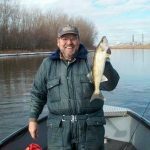 And the Walleye, personally and primarily since the early/mid 80’s and exclusively in my Saginaw Bay fishing charter business the last 6 years. 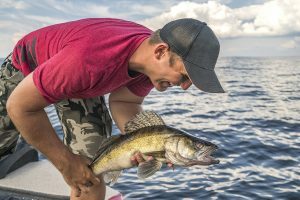 One of the mind sets by almost everybody who comes to the Saginaw Bay is “Fish Deep for Big Walleyes”. And in part, that’s true. About half of the Big tournaments have been won near or North of the Charity Islands, where the water depth can reach 40+ feet. And, when this game plan works, 40 pound weigh-ins are not uncommon. But, I can’t tell you how many people (including myself) fishing in the many tournaments held on the Bay, put to many eggs in this deep water basket, hoping to catch those 5 (weigh-in) monsters in deep water, rather than a bunch of 3 to 5 pounders in shallow water. This mind set has ruined many a pro’s game plan and tournament standings, even after being on the big ones during the preceding practice days. 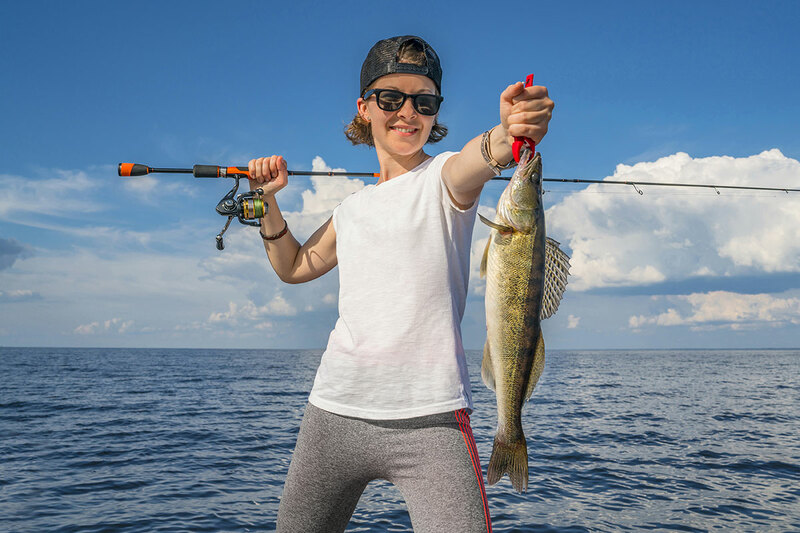 So, if you’re planning a fun filled fishing trip to the Saginaw Bay, you might want to consider fishing where the fish stay hungrier and save the time used on that 30 mile one way trip. With a little over 6 years and about 180 trips under my belt chartering on the Bay out of my 25′ Grady White, I’ve noticed a few things about those deep water monsters. For one, they seem to be a lot fussier, have a narrower feeding window, and are more susceptible to weather changes, than those in the shallower water. In my last 2 years of chartering, I can count on one hand the days I’ve fished in over 12 feet of water. Now, if you know the Saginaw Bay, this zero to twelve feet of water mark takes up an impressive amount of the inner Bay. And I’ve caught an impressive amount of what I would call (weigh-in) walleyes in this skinny water. It’s my opinion that the Bays water temperature plays a big part in the migration of these (bigger walleye) to deeper water. Very seldom in the last few years has this inner Bay water heated up to the point to chase many of the bigger hogs into that deeper water zone. 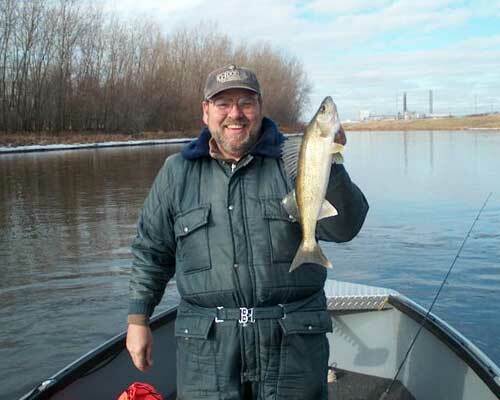 Of course, the very biggest variable as to where the walleye go, travel and stay is forage. 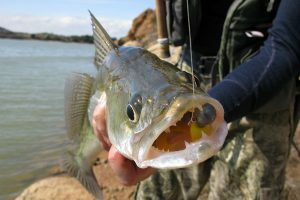 And a lot of things have changed in the last few years, that keep’s the vast majority of baitfish in shallower waters.